It was my 45th birthday and I was having a pity party. I had not reached my goal of losing 45 pounds by my 45th birthday. In fact, with the stress of the past year, I had gained 15 pounds, reaching my heaviest weight EVER. I was not heading on a girl’s weekend to celebrate my birthday like so many of my Facebook friends had done this year. I was feeling alone, old, and ashamed. But in a moment of courage, I decided there was one goal I could achieve, becoming a Zuma instructor. I quickly signed up for the November 18 class in my area. 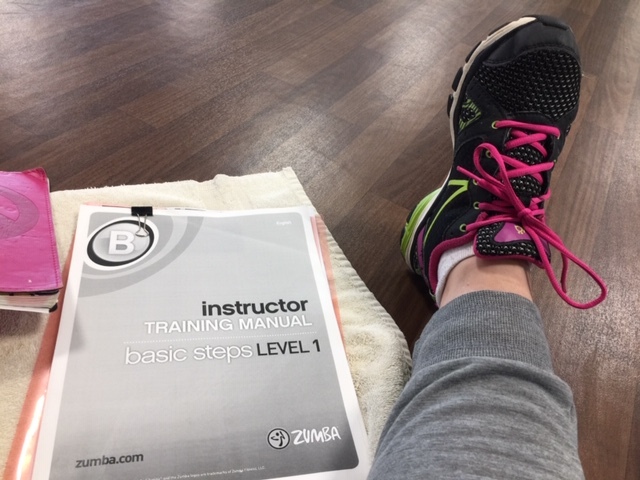 So last week, overweight and out of shape, I went to a day-long Zumba instructor training class and became certified to teach. 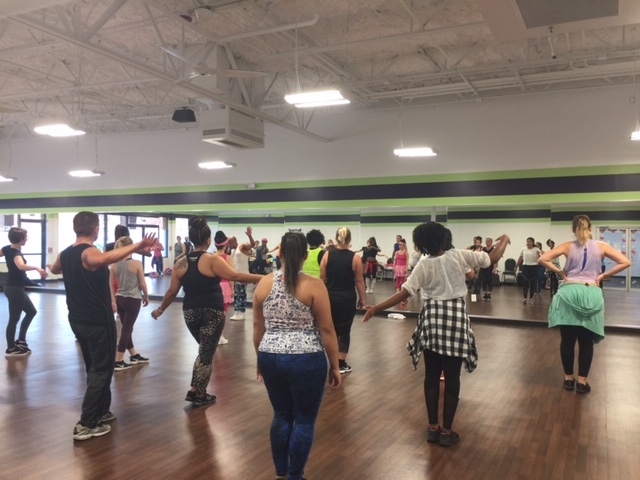 The training included a master class and lots of dancing as we learned each of the key steps to put together choreography and practice cueing. And I could hang! It was a lot of fun and I am so glad I did it. You see, I started dancing at age 4 with creative movement. I then took ballet, tap, and Jazz from age 5 through high school and was in a performing company. I also took classes in college, and as an adult, took dance fitness classes. As life progressed and I had children and grew in my career, I stopped dancing. Until I landed a corporate job which offered a full-service gym with dance classes. The dancing bug came alive again. When I dance I truly feel free. Unfortunately, I was laid off in Sept. 2017 due to corporate restructuring and I no longer had access to those classes. I truly have missed it. I also did some volunteering at my children’s school teaching dance and I realized I could combine my passion, my need for physical activity and earn some extra income by becoming an instructor. So, I finally achieved that goal. Now, when I hold a class, I won’t be taking away from my family because I will become healthier and earning extra income. I will be a good role model and have an outlet for stress. And I will be connecting with other people and helping them craft their own remarkable life. All good things! I am looking forward to holding my first class. Good for you, Jen. Congratulations! And happy birthday.